As your preferred Acura dealer serving King of Prussia, PA, we are your one-stop shop for all things automotive. We offer the best selection of Acura cars for sale, a staff of friendly and knowledgeable employees across all departments, and a commitment to customer satisfaction above all else. One of the ways we achieve this is with our service department that helps to keep your vehicle at its absolute best. Acura of Limerick is the home of all the latest and greatest Acura vehicles – they’re some of the best in the industry. In order to keep such impressive automobiles performing at the peak of their powers, regular service is a must. Oil changes are one of the simplest yet most important maintenance items for any vehicle. 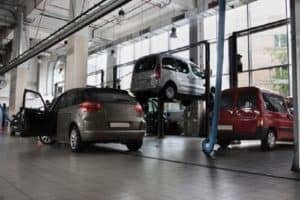 In general, you should have your oil changed every 3,000 – 5,000 miles. The oil in your vehicle is the lifeblood of the engine and neglecting to keep it changed can spell big trouble and costly repairs. Another key maintenance item is tire changes and they usually should be rotated every 6,000 – 8,000 miles. Making sure your tires are rotated and have enough tread helps maximize performance, gas mileage, and safety. With great design comes a need for intricate and specialized care. At our Acura car service department, you can always count on an expert team of technicians who are highly skilled and specialize in the unique needs of your vehicle. We’re all about delivering quality work in the most convenient way possible, and you can even schedule service online to streamline your appointment. All of this comes with a dedication to your satisfaction and honest, competitive rates. From oil changes to brake repairs, fluid checks to belt replacement, and electrical work and beyond, we do it all at Acura of Limerick so you don’t have to worry about it! Acura of Limerick is excited to serve all of your needs and we sincerely hope to have the opportunity to earn your business. We invite you to come see us at our nearby 77 Autopark Blvd location in Limerick, PA so we can show you what we’re all about.